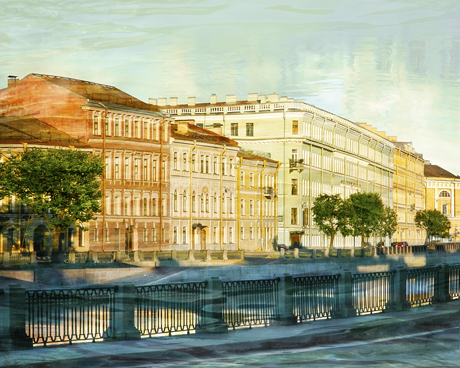 St. Petersburg city view at the water in bright colors. Beautiful cityscape with rain atmosphere at Fontanka River embankment. This photograph is printed on premium archival metallic paper with additional Matte finishes, which coats it from water, UV, fading and scuff damage and no need a glass protection.